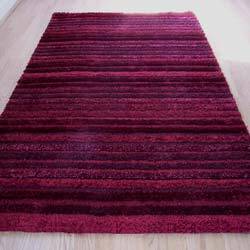 Mica rugs are heavy in weight, this plain textured rug is made from shiny polyester yarn. This range features multiple pile textures which include loop pile and shaggy cut pile, each rug has various pile heights which adds to the appearance of this heavily texture rug. Handmade in India from 100% polyester, available in three sizes including a runner.